Descriptive text adalah sebuah tulisan atau teks yang menggambarkan sifat-sifat yang melekat pada sesuatu, baik itu manusia, hewan, tumbuhan, ataupun benda mati seperti rumah, mobil dan lain sebagainya yang bersifat spacific(khusus). Tujuannya agar pembaca atau reader dapat mengetahui seperti apa sesuatu itu dari gambaran yang kita sampaikan meskipun ia belum pernah melihatnya. berisi tentang identifikasi hal / seorang yang akan dideskripsikan. Penjelasan mudahnya, indentification berfungsi untuk memperkenalkan kepada pembaca tentang objek atau sesuatu yang akan kita gambarkan sebelum kita beritahu tentang sifat-sifatnya. Tujuannya agar jangan sampai pembaca salah orang . Bagian ini – pada paragraf kedua dan seterusnya – berisi tentang kenampakan fisik, kualitas, maupun perilaku umum sifat-sifat yang melekat pada sesuatu yang sudah kamu kenalkan pada pembaca pada paragraf pertama. Every people certainly have a mother. Because people was born from her. The existence of her among us is definitely important. That is why I love her so much. I owe great debt to what she has been doing to me until right now. I love you, mom. My mother's name is Khodijah. She was born 49 years ago. She is short, but not too short. She is little fat. And she is old. She has got short white straight hair. She has got brown skin. She is beautiful. Her hand is so soft, the hand that have taught me to be kind person. She never stops to support me. She always tells me to not give up so easily. She always gives me some fine solutions when I have some problems. The importance of her is never denied. That is why I never reject her willing. Macquarie University is one of the largest universities in Australia. This year, in 2004, it celebrates its 40th anniversary. The university is located at the North Ryde Greenbelt, Sydney, where the New South Wales government sets aside 135 hectares for the institution. In 1964, Macquarie area was a rural retreat on the city fringe, but today the campus and its surroundings have evolved beyond recognition. The North Ryde District has grown into a district of intensive occupation anchored by a vibrant and growing university. lessed with a fortunate location and room to breathe, Macquarie can be proud of that careful planning that retains and enrich the university’s most attractive natural features. A pleasing balance between buildings and plating is evident across the campus. This emphasis on the importance of landscape has created images of Macquarie as a place that members of the university are most likely to pleasurably recollect. One of the highlights of the landscape is the Mars Creek zone. It comprises landscaped creek sides and valley floor, a grass amphitheatre, and artificial lake surrounded by rocks and pebbles, native plants and eucalypts. Today, a railway station is under construction. In three years1 time, Macquarie will be the only university in Australia with a railway station on site. Macquarie is poised to be the most readily accessible in Sydney region by rail and motorway, yet retaining its beautiful site. Do you have a rabbit at your home? I have a white rabbit in my backyard. I love the white. Therefore, when buying this rabbit, I chosen a white one. For three times a week, I clean mine so that the hair remains white and clean. Physically, he is kind of Australian rabbit which has a thick hair, red eyes, and a big body. He is the only Australian rabbits that I have. I bought at a price which was not too expensive. I remember the time that I bought with the price of Rp. 200,000. The thick hair is one of the marks of the Australian rabbit. I love the hair, in addition to thick, my rabbit hair is so smooth and it also does not easily fall out. In fact, I often kiss those when I play with him. Moreover, it remains well because I am so well in maintaining. As I said before, I clean it three times a week. The one that makes me in awe of the Australian rabbit eyes is the red color. When I shine my light into the eyes of him at night, his eyes would light up and he looks like a ghost. What about his body? You will see that the body is so great and is different from the rabbits in general. Australian rabbit’s body may have two to three times bigger than Indonesian. I’ve seen my rabbit standing, and it is amazing. His body is quite large and exceeding the high of a standing rooster. 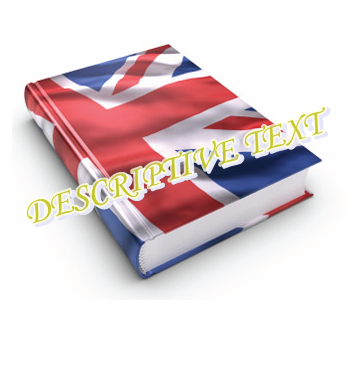 0 Response to "DESCRIPTIVE TEXT"